Send a little love note to your big crush. 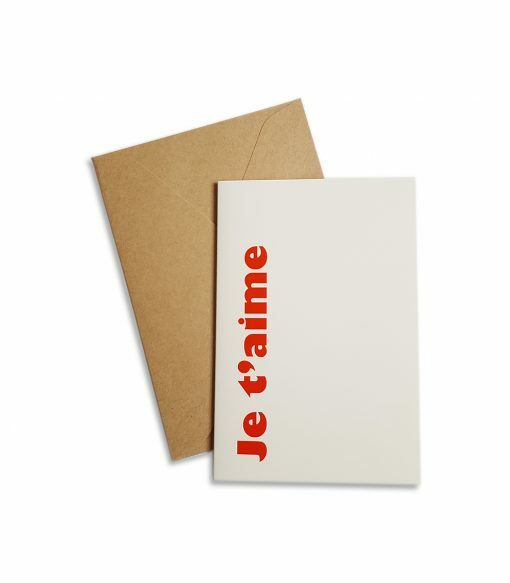 Folded card with red embossed je t’aime text on the cover. It comes with a kraft coloured envelope.